Situated in Burnley, this guesthouse is within 6 mi (10 km) of The Weavers' Triangle, Turf Moor, and Whalley Abbey. Towneley Hall and The Singing Ringing Tree are also within 6 mi (10 km). Situated near the beach, this spa hotel is 2.7 mi (4.4 km) from Preston Golf Club and 3 mi (4.9 km) from 53 Degress. University of Central Lancashire and Lancashire Infantry Museum are also within 6 mi (10 km). 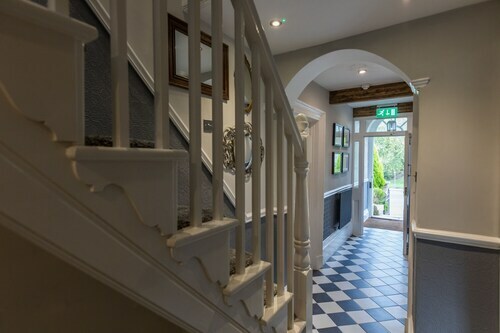 Situated in the business district, this spa hotel is within 1 mi (2 km) of The Rock and Bury Market. The Met is 1.3 mi (2.1 km) away. Situated in the suburbs, this spa hotel is within 3 mi (5 km) of Turton Tower, Bolton Open Golf Club, and Hall i’th’ Wood Museum. Smithills Hall and Jumbles Country Park are also within 3 mi (5 km). Manchester Bromley Cross Station is 17 minutes by foot. How Much is a Hotel Room in Padiham? Hotels in Padiham start at $65 per night. Prices and availability subject to change. Additional terms may apply. Wanting to book an inspiring place to rest your head while you are roaming in Padiham? Travelocity features many modern hotels and rooms. At this point in time, Travelocity's easy-to-use guide boasts 13 apartments and hotels within a short drive of Padiham's center. The Best Western Higher Trapp Country House Hotel is the closest hotel to the town center of Padiham and is located just a brief drive away. 20 miles (34 kilometers) from central Padiham, you will come across the White Hart. 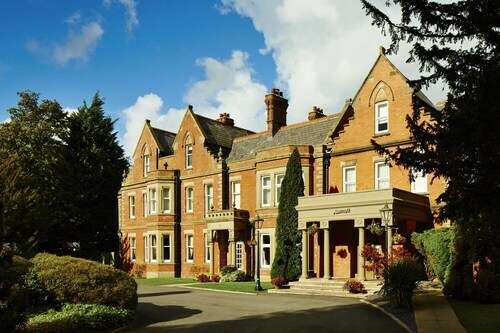 Alternatively, the Mercure Bolton Georgian House Hotel is located 19 miles (30 kilometers) away. Or, you could check in to the Best Western Mytton Fold Hotel & Golf or the Mercure Dunkenhalgh Blackburn. 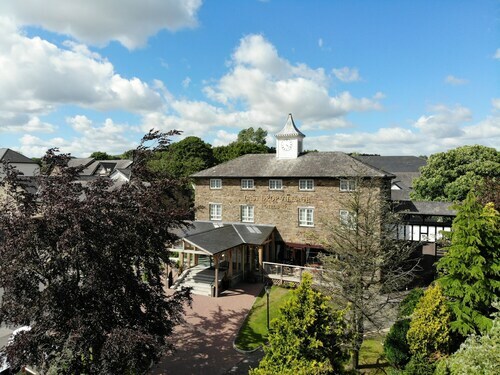 9 miles (15 kilometers) to the northwest of Padiham, you can find Clitheroe, where you can spend the day enjoying Clitheroe Castle and Forest of Bowland. Some Travelocity-listed Clitheroe rooms include the Clerk Laithe Lodge and The Red Pump Inn. For another option, head to [name of second nearby city or town (sibling)], 16 miles (26 kilometers) west of Padiham, where you can choose between the Holiday Inn Preston and Legacy Preston International Hotel. When you stay in [name of second nearby city or town (sibling)], make sure you explore the Miller Park, Hoghton Tower and Preston Golf Club. 30 miles (49 kilometers) to the west of Padiham is Blackpool, a regional center with a population of 140,000 where you will be able to find tourist attractions including the Stanley Park, Sandcastle Waterpark and Paris Casino. The Winter Gardens and Blackpool Tower are also worth exploring. 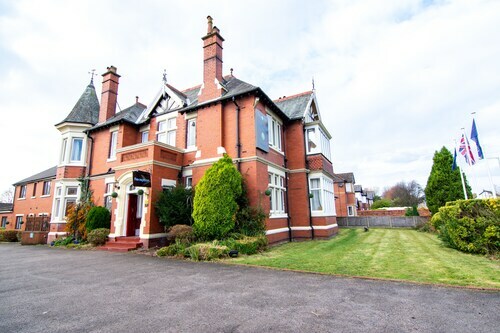 Blackpool has places to kick your feet up to suit most tastes and budgets, including the Aberford and Branston Lodge - Guest House. Leeds Bradford Airport is the main arrival point for air travel and is situated 25 miles (43 kilometers) outside the heart of Padiham. 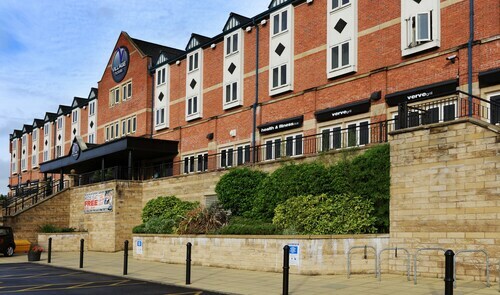 Conveniently located Travelocity-listed hotels are Britannia Leeds Bradford Airport Hotel and Chevin Country Park Hotel & Spa. Great old hotel, set in a semi rural area between two cities. Close to civilization, but not too close. I have to tell you, Nicole at the front desk made this whole two week stay absolutely awesome. She gave us great tips on places to go & things to see. She also comforted my wife who had recently lost her father( we were on a genealogy trip, to explore his ancestors), and was a great human being. When we go back, this is where we’re staying. Nicole gave this great secluded hotel, the personal touch. If you want esoteric, don’t stay here. If you want great character & old world charm...this is the place!!!! Stayed at this hotel for one night. I am glad it was not longer. The staff were very nice and helpful. The room was a good size, well laid out, and the window opened fully - except there was no mechanism to keep the window open. The bed was far too hard for my liking. The shower worked very well. The room was mostly clean, but the carpet was filthy and stained. Some of the towels were also stained and had holes in them. I would not expect this from a "4 star" hotel, and I would definitely expect a vacuum cleaner and occasional steam cleaning of the carpet. A softer mattress and a much cleaner carpet would encourage me to try this hotel again. 4.0 Hotel, not B&B, more relaxed. Hotel was clean and staff helpful though must ask for detail. good breakfast however only included if you book directly with them and not through ANY other program. Sign posted in lobby on prices of rooms and reads breakfast included which was deceiving and obviously the hosts believe we should know how this works. All it would take is a disclaimer on the sign..."unless you did not book direct". Very simple in order not to have questions at check out! Nice area but a very long walk to the shopping/restaurant areas, avalon pard etc. About a 5p taxi drive or 1.6p bus ride(bus stop very close) to major Preston areas. Bar area available but did not seem to be anyone running it most of the time...again probably just had to ask and probably would have been charged at end of stay. What a lovely staff, and nice spa, fun little village of shops and quaint little bar. Breakfast buffet was very nice but be sure to book the day ahead to save some cash. We were treated very well and the staff went out of their way to make sure the stay was great. The spa's customer service was amazing, they really are wonderful people. Nice, clean room. Much larger than our 3-star hotel in London. Super staff--warm, friendly, efficient! Decent breakfast. Small, but varied, selection of yummy menu items available in the nice little lounge/restaurant/pub area. Would stay there again!! 1.0 HORRIBLE PLACE DO NOT STAY HERE!!! I came to shasta with my father and stayed at A1 before we were to summit the mountain. When we arrived, the surly owner showed us a room that reeked horribly of smoke and curry. I asked him if he could move us to another room, (the place was empty) and he begrudgingly did. The second room, seemed cleaner, and smelled a bit better (mildew beats curry). Exhausted, i pulled back the sheets to get into bed and to my horror I saw many hairs on the sheet. I went back to the owner, and he refused to put us in another room because we had only paid his base rate, and he would not move us without us paying more. he did, however give me another set of linens (stained) and sent me back. We would have left but it was so late, that we decided to stay. Aside from the olfactory assault and unchanged bed sheets, this place is grimey and gross in general, dingy carpet, uncomfortable bed, dribbly shower with a door that does not close correctly, silverfish and other lovely bugs. I honestly cannot believe that this guy charges ***+ a night. It is a total rip off. Save your money, (and your nose) and stay somewhere else.